Sourav Ganguly took to Twitter on Monday to distance himself from an unverified Instagram account with a large following, that was believed to be run by the former India captain. 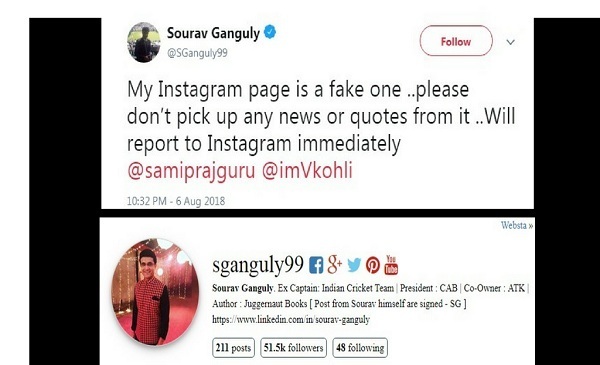 The southpaw called the account which shared a similar name (@sganguly99) with his verified Twitter account (@SGanguly99), fake while also tagging Virat Kohli’s official Twitter handle. Earlier in the week, the Instagram account, which had amassed a following of over 50,000, was cited by several news reports after it posted a long post on the Indian cricket team’s loss to England in the first test. The Indian team lost the series-opener by 31 runs as the English bowling attack overwhelmed Indian batsmen with the exception of Virat Kohli. The post purported to be by the former captain urged Indian batsmen such as Murali Vijay and Ajinkya Rahane to bat with more determination and advised Virat Kohli to not chop and change the playing XI. A Twitter users shared a screenshot which captured the post. It had received over 10,000 Likes and was cited by Press Trust of India. 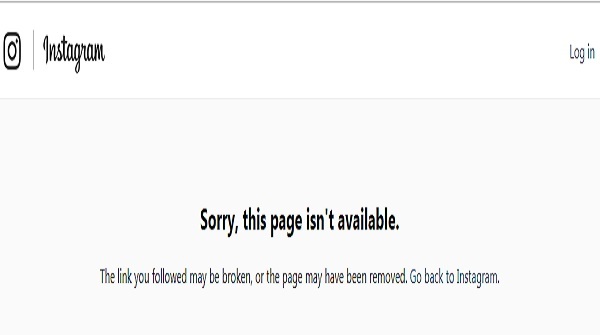 Instagram took down the account following Ganguly’s tweet. But BOOM analyzed the quote posted by the Instagram account and found that it had paraphrased the answers Ganguly had given to a Hindi news channel India TV.